Are there some games that just do not work correctly with the Encore? Some games roll horizontally (Basic Math, Alpha Beam with Ernie, Wings (Prototype)). The games are all NTSC and I've tried downloading from several different sites with the same results. I did read another thread on this but the original poster there was using a 7800. I am using a 2600 "light sixer". I just need someone to confirm that these games work correctly with the Encore. Then I can rule out an incorrect/bad ROM and focus on the Encore. The game ROM is in charge of the video signal, not the Harmony cart. So if the game runs but rolls on your TV, it's the ROM (and your TV), not Harmony. What type of TV are you using? It's possible the games are not generating the sync signals correctly and newer TVs are not always as tolerant of discrepancies. I know Warlords does it incorrectly, which causes problems with the XRGB-mini. 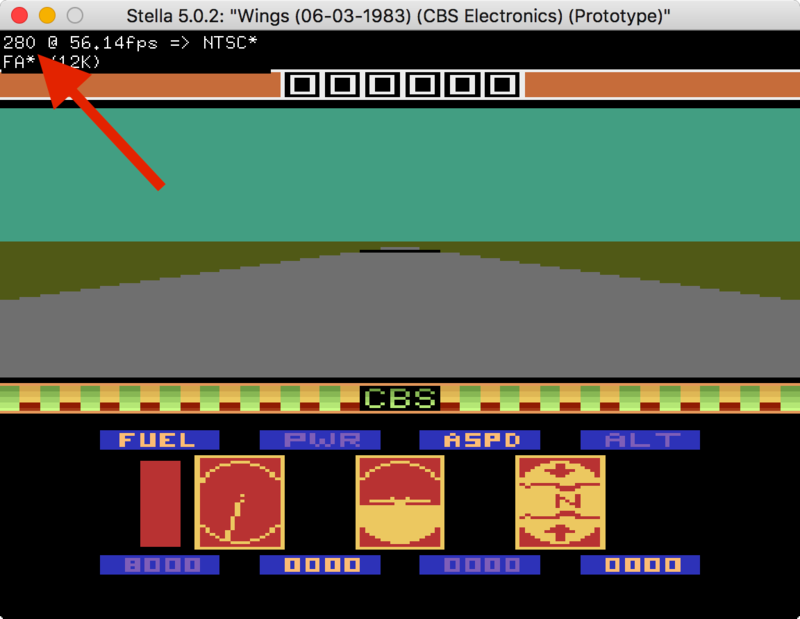 I'm not familiar with Wings, but I see it's generating 280 scanlines which is 7% out of spec. Scanline counts for NTSC games should be 262. Some TVs are OK with this, but a lot of them aren't and will just roll the picture. Understood about the issue not being the Harmony. I'm still learning about how these things work, so I do appreciate the patience. I'm using an Insigna HDTV. That's probably the issue. Well, as suspected the TV was the culprit. I hooked up the Atari to a smaller Insigna HDTV and all games that were scrolling were not on this TV. Thanks again guys for pointing me in the right direction.